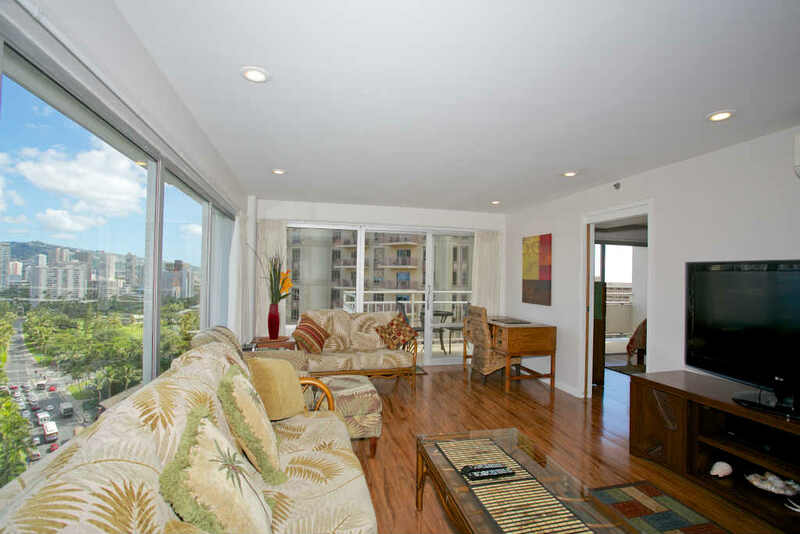 Best Condo at Ilikai Hotel, Watch Waikiki Come Alive At Night! 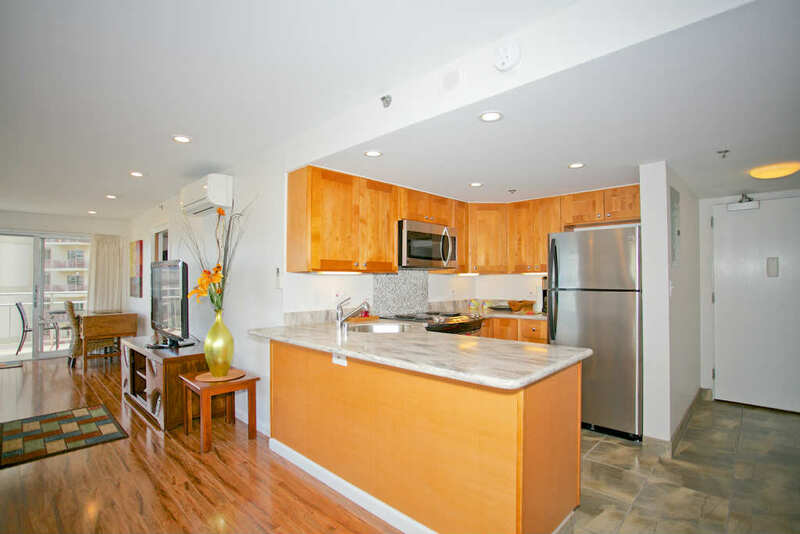 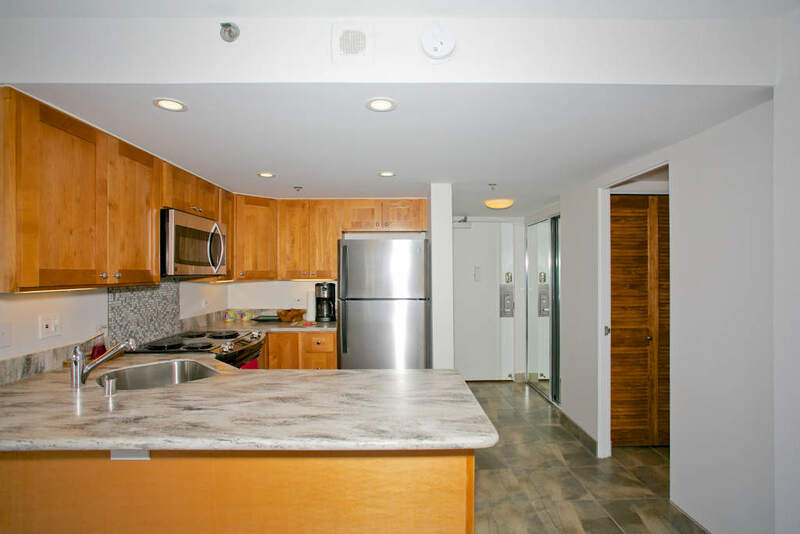 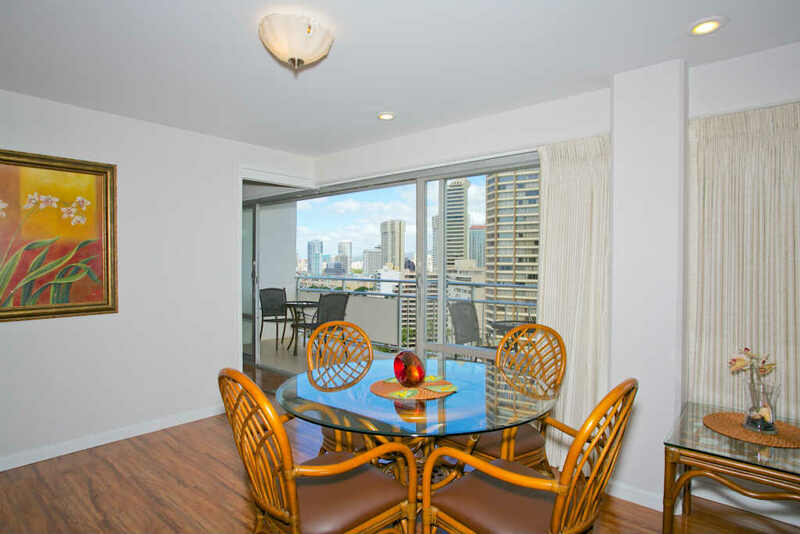 No need to look any further, you've found your perfect condo in Waikiki. 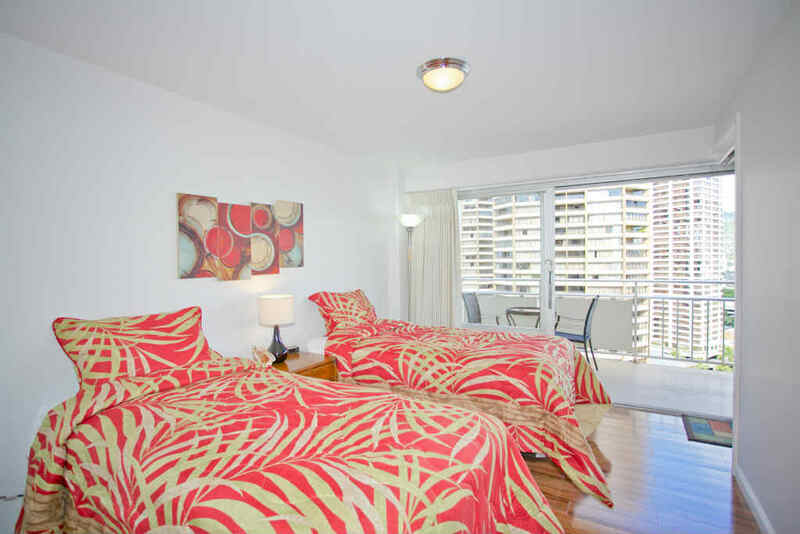 Don't delay, as there are others looking to book this condo and they might take your dates! 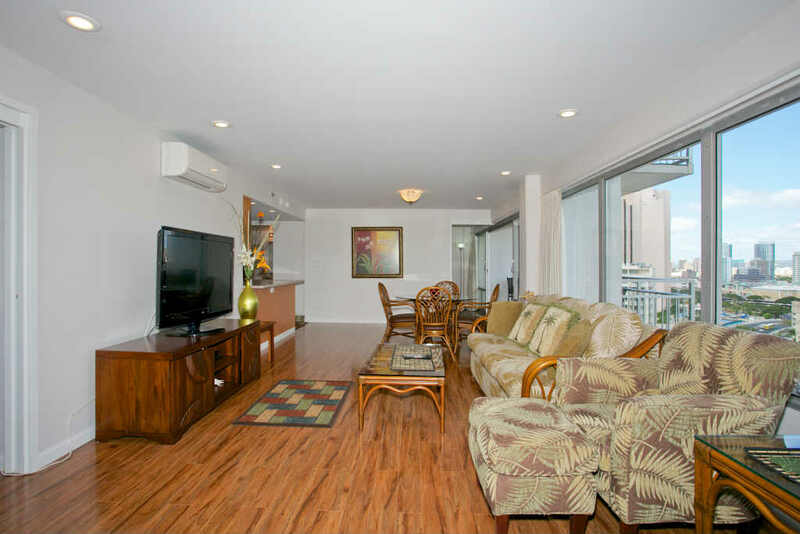 The condo was recently renovated and decorated for your comfort and enjoyment. 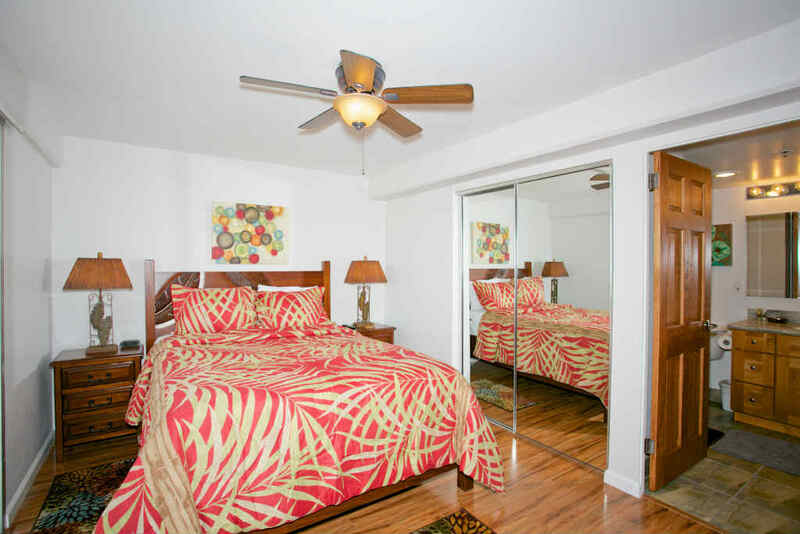 This unit can accommodate up to 6 people, with a queen size bed in the master bedroom, two twins in the guest bedroom, and a sofa bed in the living room. 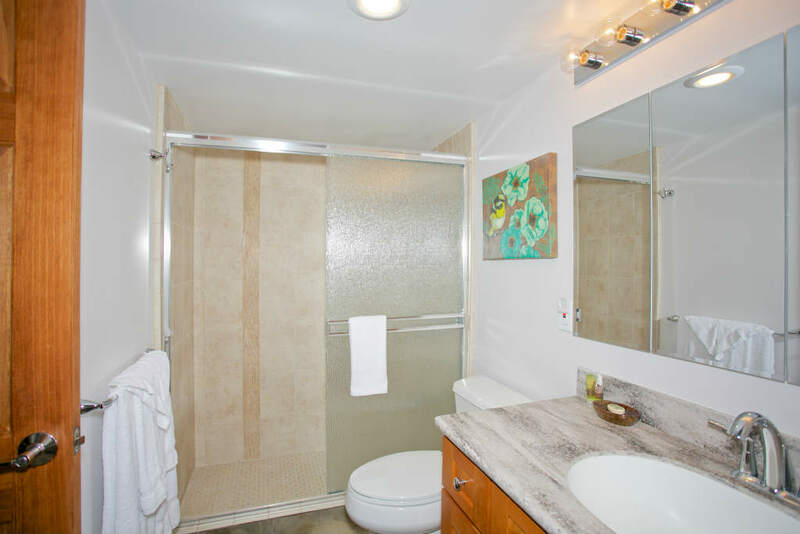 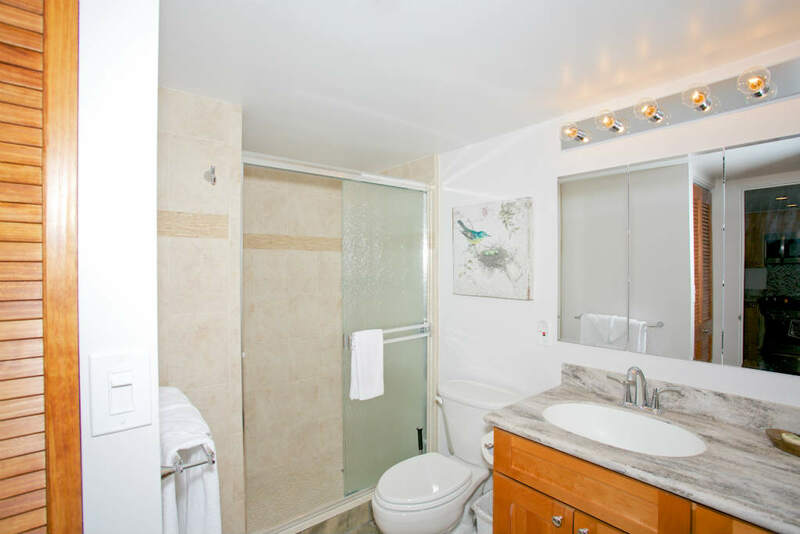 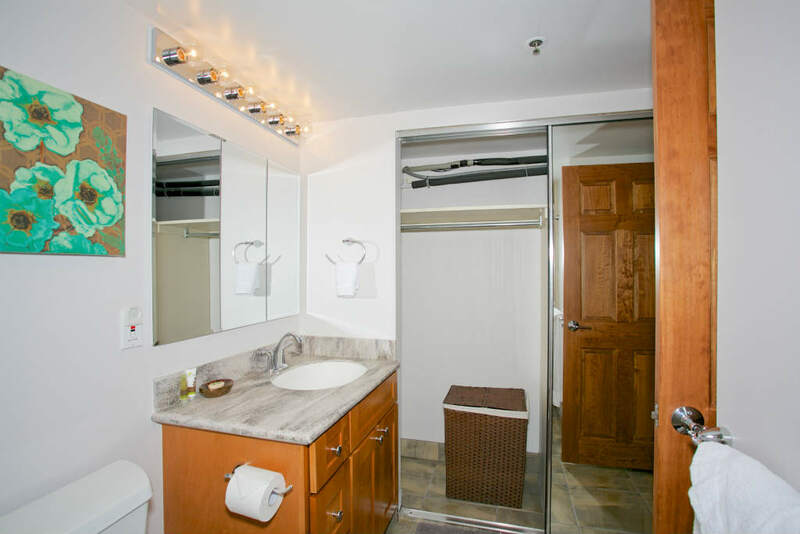 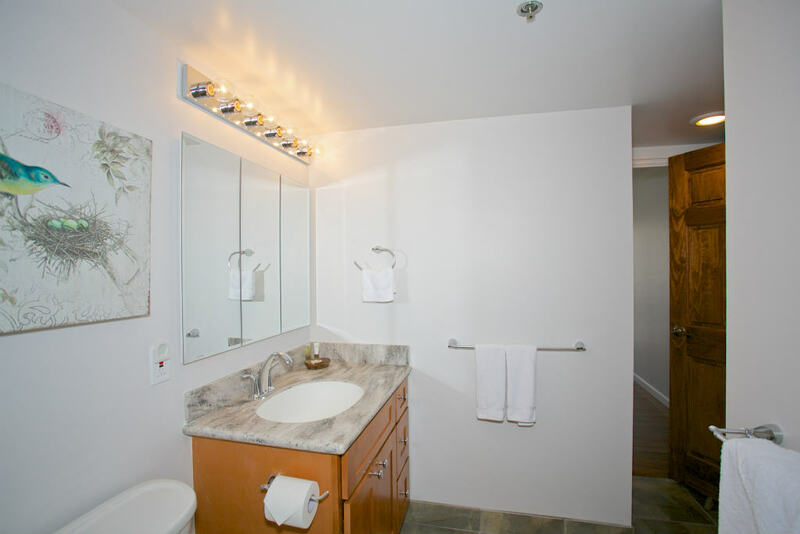 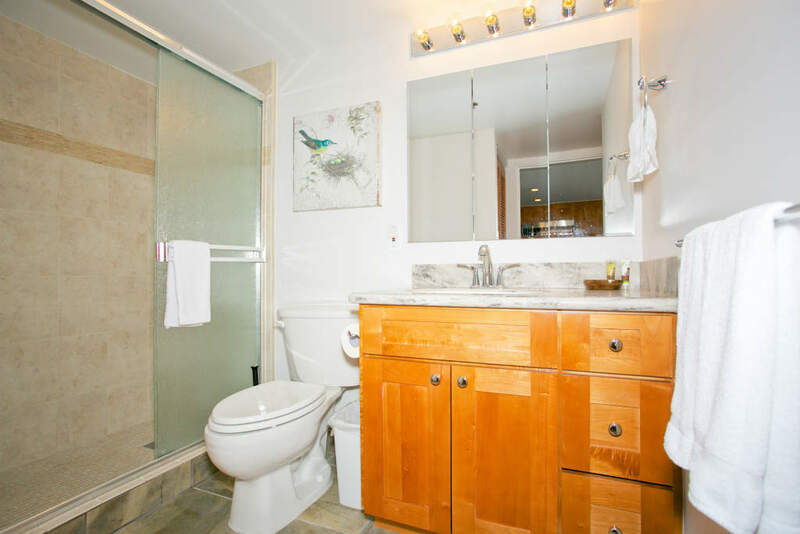 The condo has two full bathrooms so you won't have to fight or share with your friends or family traveling with you. 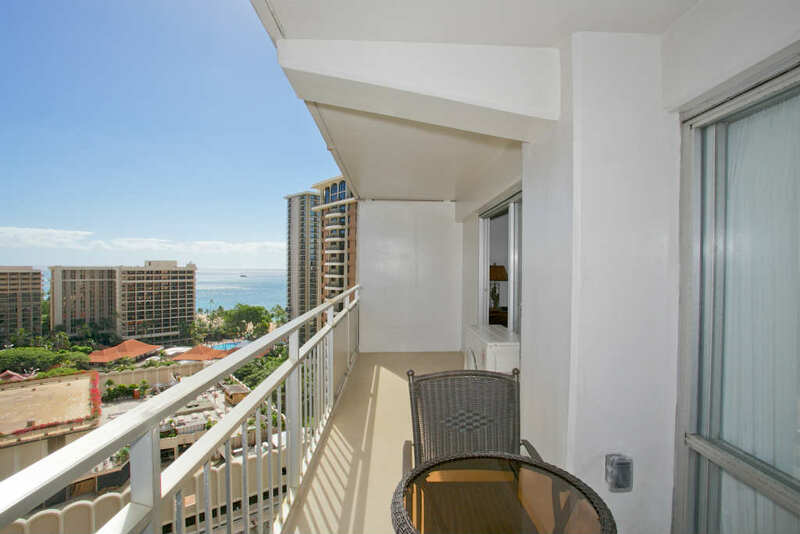 Enjoy the spectacular view from the relaxing and spacious lanai. 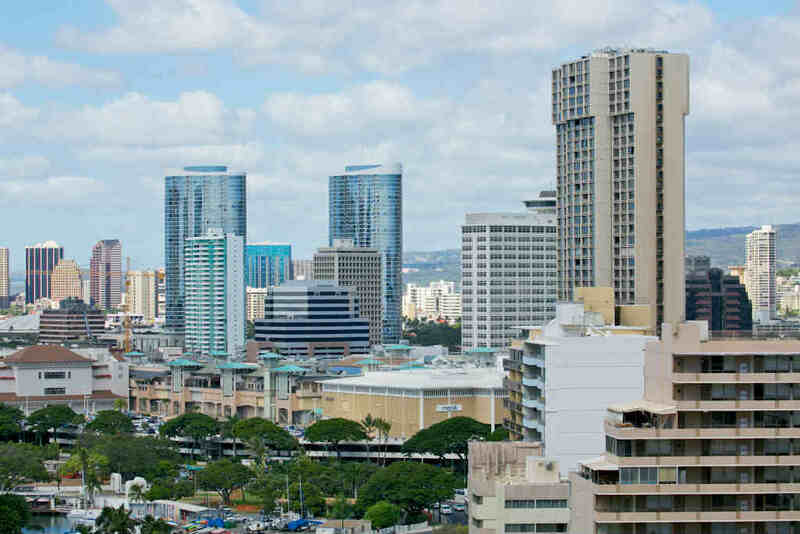 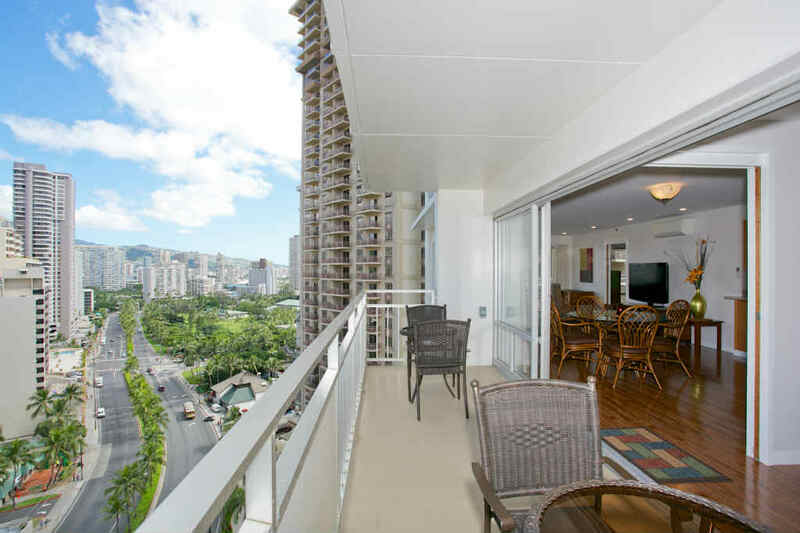 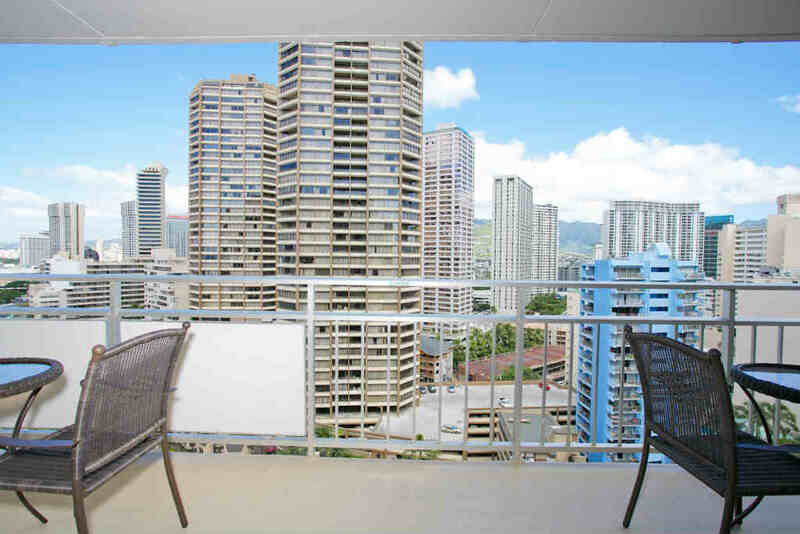 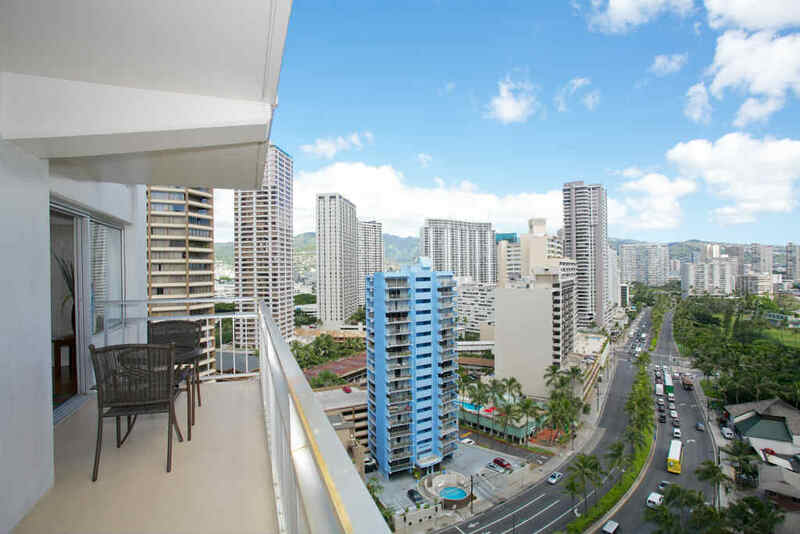 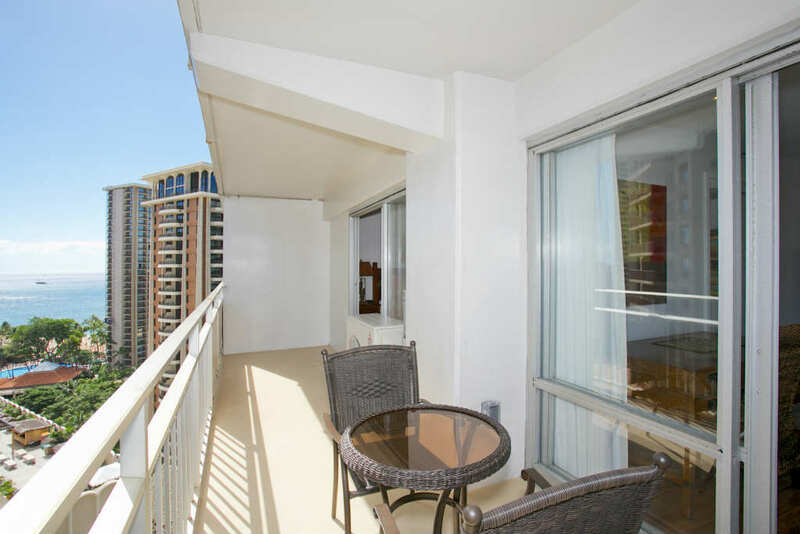 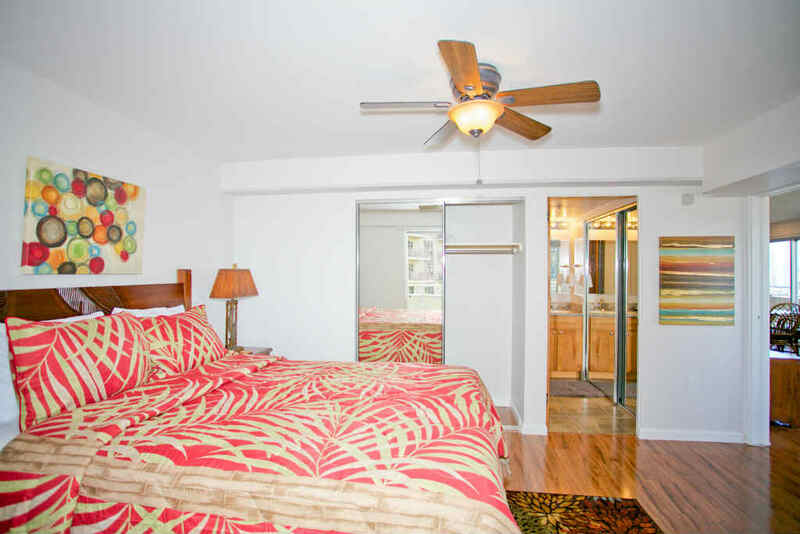 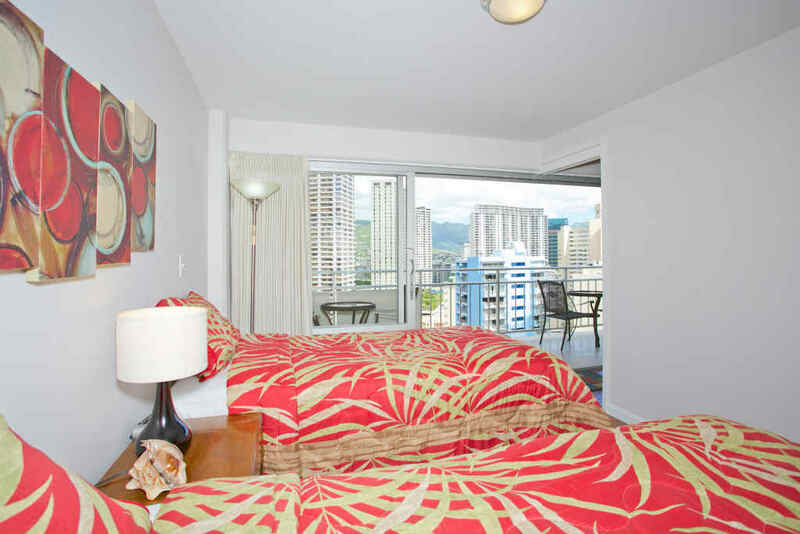 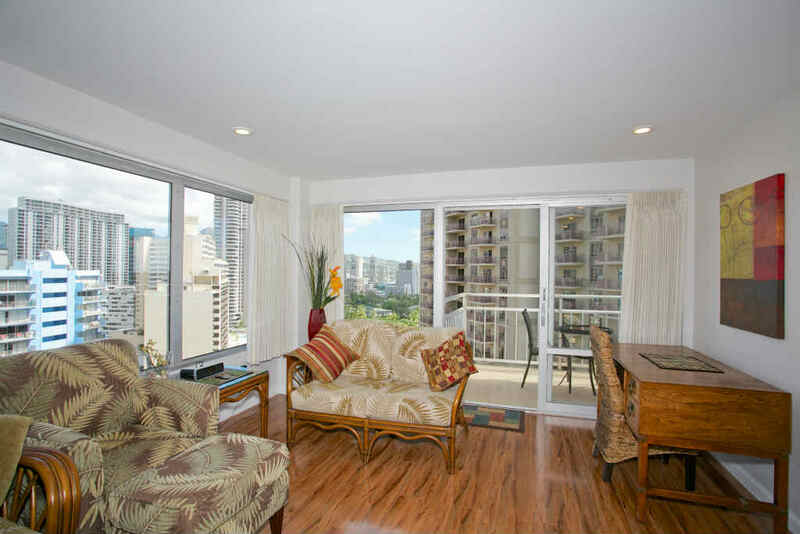 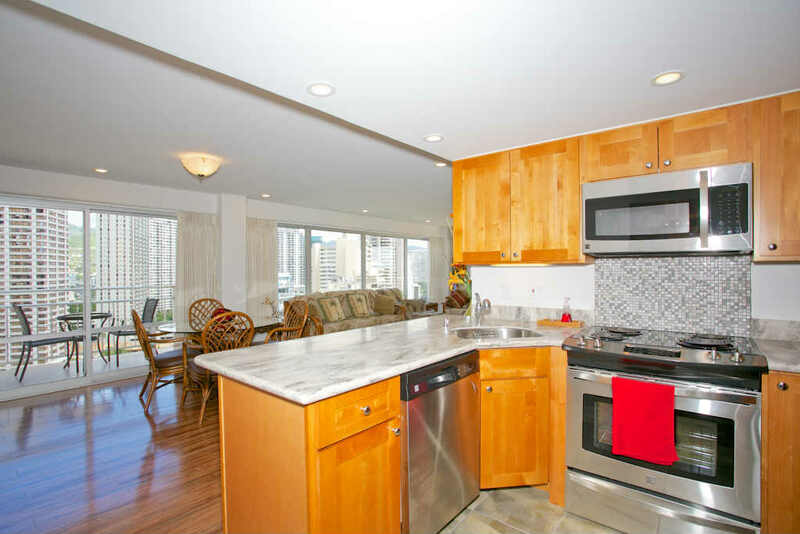 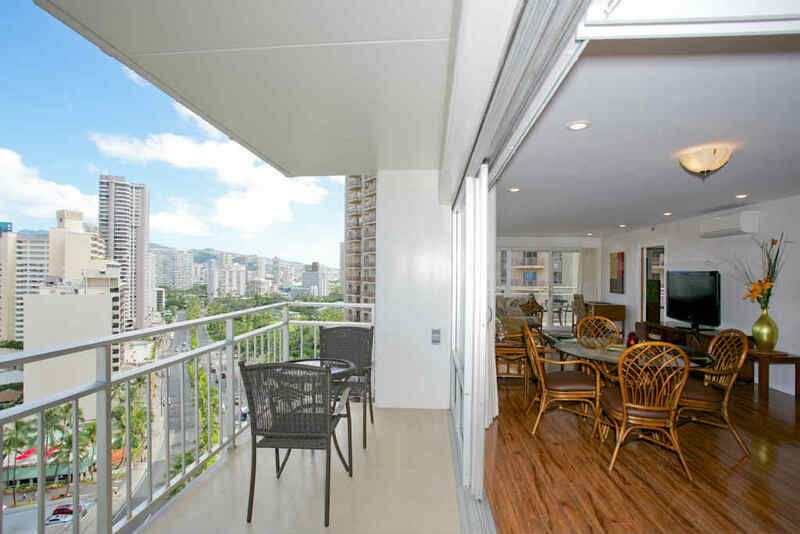 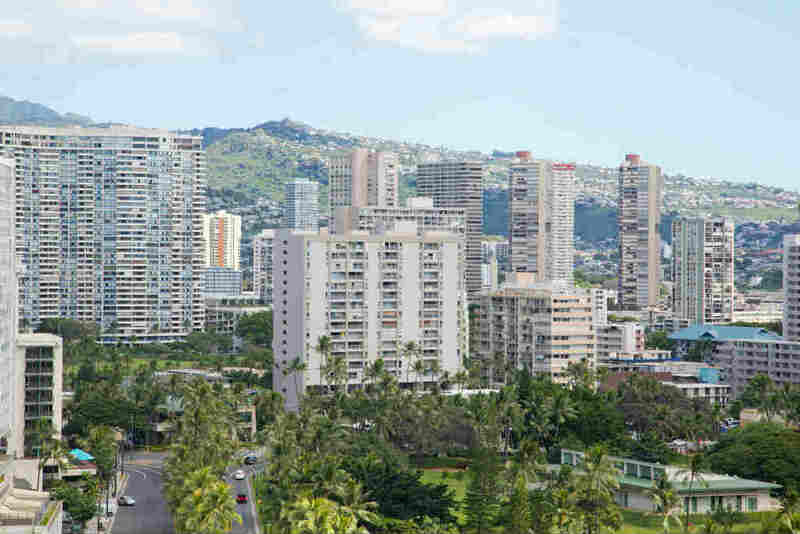 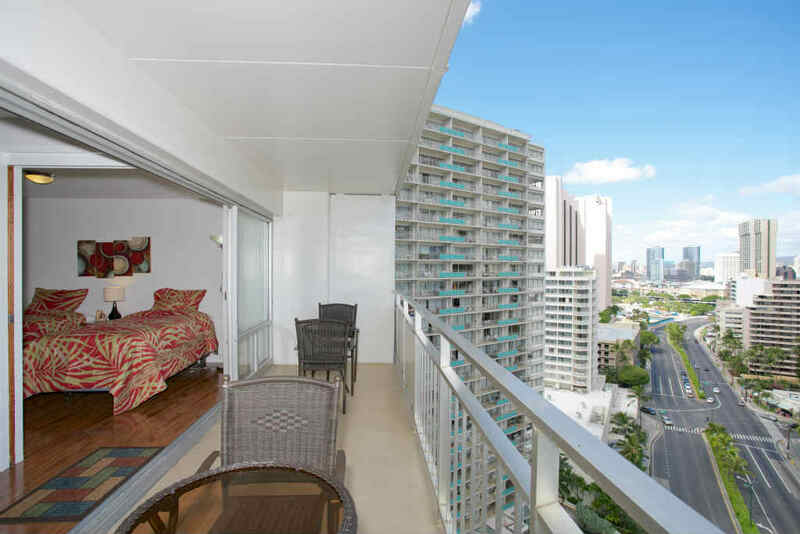 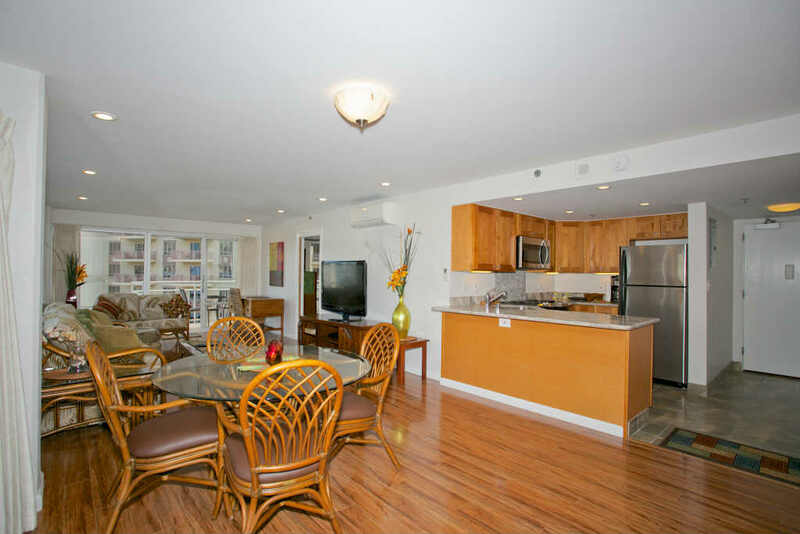 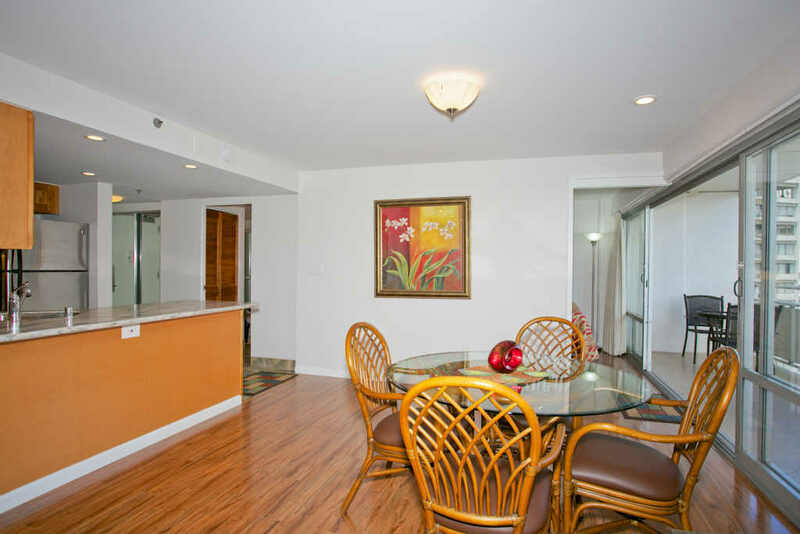 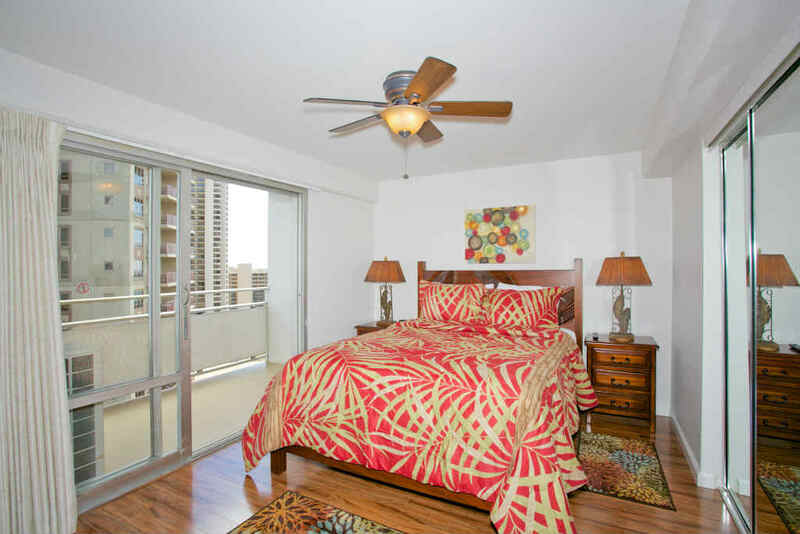 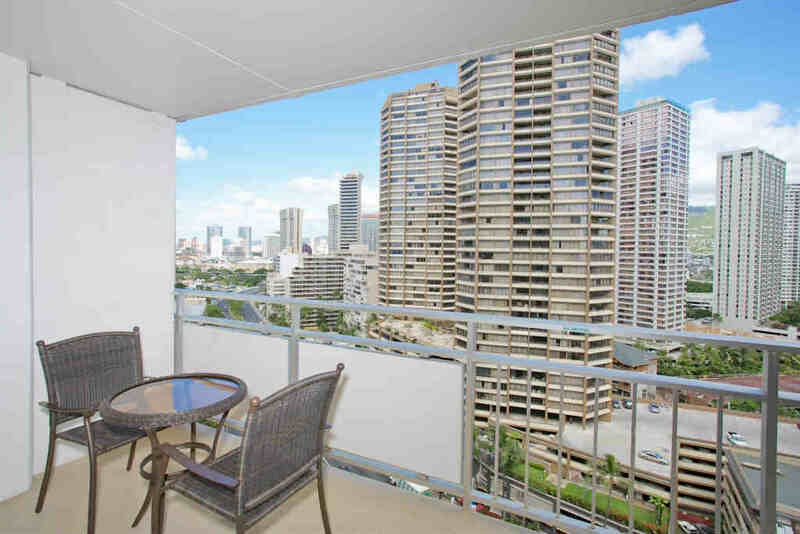 Although this is a city view unit, you can see the famous Waikiki beach from your lanai. 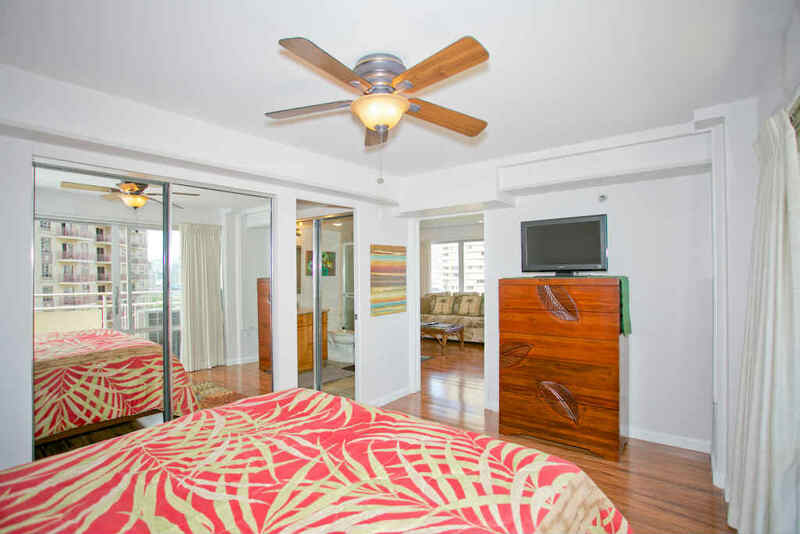 You may never want to leave the lanai as the Hawaiian breeze beckons from the spacious lanai. 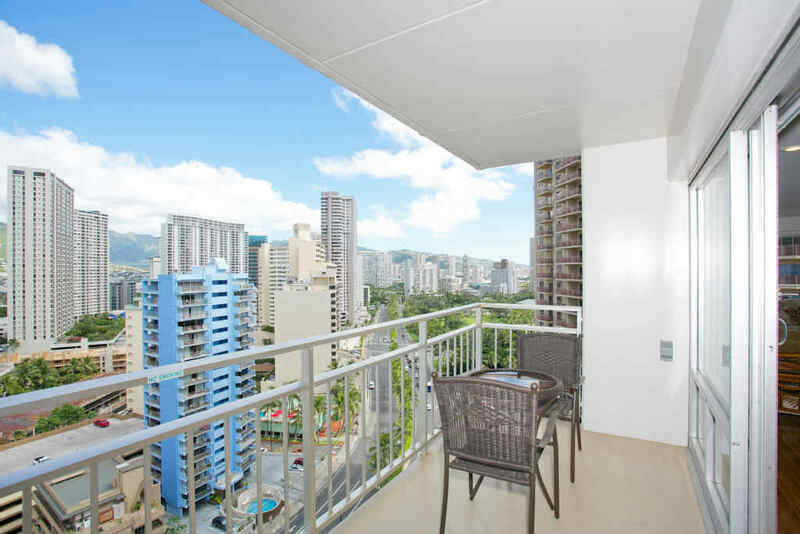 In case you need to mix business with pleasure, the condo is equipped with free WIFI & telephone service to Hawaii, U.S. Mainland and Canada.